When it comes to caring for our families, we know fitting everything into busy schedules can be a struggle. 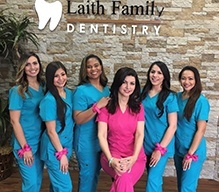 That’s why the Laith Family dentistry team offers central San Antonio families the comfort and convenience of a different kind of dental care experience. When you trust our team with your dental needs, there’s no scheduling numerous visits in several different offices. Instead, let our team take care of your whole family’s oral health care needs in just one office. If you’re looking for a central San Antonio family dentistry office, your search is over. Call our caring dentist and skilled team to schedule a block of appointments to bring every member of the family to see us. We can’t wait to help you achieve and maintain your healthiest, happiest smiles. With nearly two decades of dental experience, Dr. K loves working with patients of all ages. As a mother, she knows how important it is to give your kids the best possible care in every situation, and that includes dentistry. Dr. K creates personalized dental care plans that are as unique as your smile. She truly goes above and beyond to help kids and parents feel relaxed and comfortable while they’re in our office. For Dr. K, it’s all about patient education. Patients who understand their oral health care needs are best able to make the right treatment choices and achieve their desired results. Did you know that more patients avoid visiting the dentist for financial reasons than dental phobia? It’s true. Many people forego dental care until they’re in serious pain because they’re worried about the cost of treatment. At Laith Family Dentistry, we carefully explain your treatment options and the costs of each service. We don’t upsell. We educate. 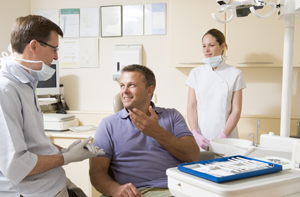 Our goal is to help patients find dental services that fit their budgets and meet their needs. We are also happy to process and file dental insurance claims and work with CareCredit to provide financing. Many parents think that the best thing for their kids is to schedule appointments with a pediatric dentist. Actually, this may be more trouble than it’s worth. Unless your little ones have severe dental development issues, visiting a family dentist may be a better option. Kids who transition out of pediatric offices too early often struggle to adjust to an adult practice and experience unnecessary stress or anxiety during this transition. The alternative is to keep kids in a pediatric practice into their preteen or teen years, but this has its own disadvantages. 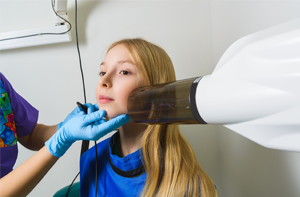 Teens often feel out of place in the kid-focused pediatric offices. 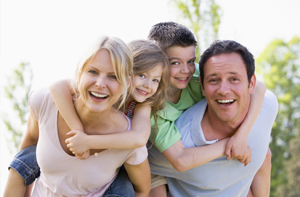 Family dental offices are the easy, convenient solution. At Laith Family Dentistry, we offer comprehensive care for all ages under one roof, and for your convenience, we’ll be happy to schedule a block of appointments for the whole family on the same day. In addition to our central San Antonio office, we also have an office in Northwest San Antonio. Whatever part of San Antonio you live in, we have an office nearby to offer all of your dental care needs.